Club volleyball is a way for young athletes to learn the skills, mental drive, and love for the game of volleyball. Pioneer Valley strives to challenge the athletes to achieve their goals and provide a fun fair environment to learn the game. Pioneer Valley Volleyball Club is open to all interested players of all ability levels. Teams will be formed after several weeks of practice based on their ability and commitment levels. Each team is presented with opportunities to play in the highest level tournaments (USA Junior Olympics) and a variety of league tournaments for all teams no matter how diverse in age, or skill level. PV Juniors and USA Volleyball require background screenings for all member adult affiliates with our Junior Teams, Referees and Tournament Staff. These backgrounds are very strict to ensure that your child is around safe and upstanding role models. Regional teams compete against other New England Region Juniors clubs and the tournament sites are generally less than a two-hour drive. However, some teams may have to drive to the Cape, CT, RI, NH or even ME. All players are responsible for their own transportation to and from practices and tournaments. Practices are approximately 2 hours, 1 time per week and are held either Saturday or Sunday. The five tournaments (which begin early March) are generally all day affairs and held on Sundays only. Teams are formed based on age, number of participants and skill level. USAV Age groups are 12's, 14's, 15's, 16's, 17's, and 18's. Open teams are made up of the elite and more experienced players in the area. These teams are required to qualify for play in the Open League and will play against the highest level of competition which may include teams from all over the United States and Canada. 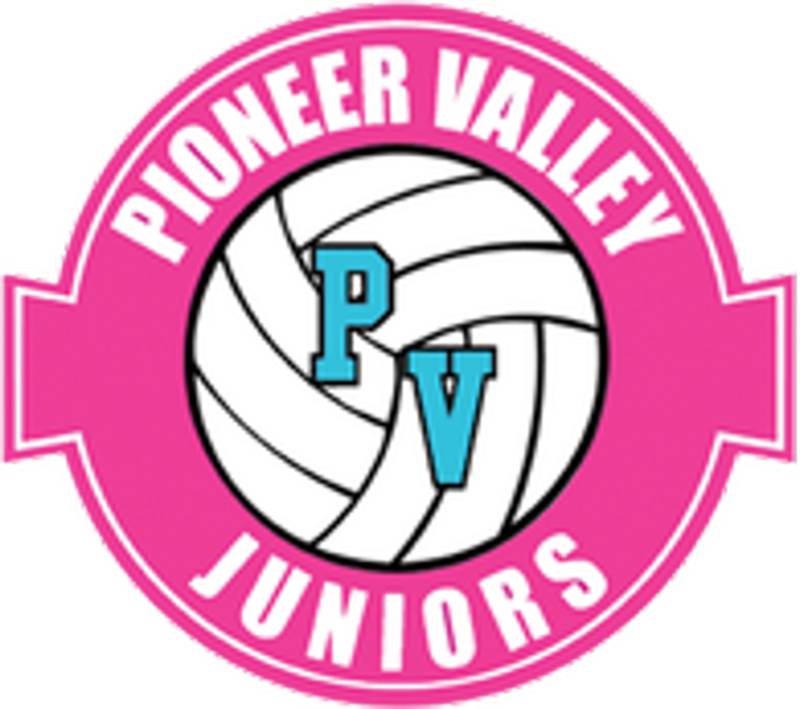 Pioneer Valley Juniors will attempt to field teams in the 16's, 17's, and 18's age groups if we feel the teams will be competitive. In addition to the regular tournament schedule, these teams will play additional all-weekend tournaments starting mid-January. Players selected for an Open team will practice twice per week. Winterfest 2 convention center tournaments. If a player drops out prior to having been assigned to a team, the amount paid will be refunded minus a $50 tryout fee. If a player drops after having been selected to a team for a medical reason (doctor's note required), fees will be refunded based upon the full fee due above and based on the following schedule: 50% if by 2/1, 25% if by 3/1, 3/2 or later no refund. If you played for any USAV club last year, CLICK HERE to renew your USA Volleyball membership. If there’s a problem with the system and you can’t create a login, just create a new account by using the link below (for players that are new this year). If you are new to USA Volleyball this year GO HERE. – choose club as “Pioneer Valley”, if you are trying out for more than one club then it’s ok to be undecided. – pay your USA Volleyball fee online using a credit card ($60). You must have a USA Volleyball membership to tryout and it is not refundable once you pay it! This is a NEW ENGLAND REGION policy and not just PV Juniors.